This Moisture Resistant (M.R.) 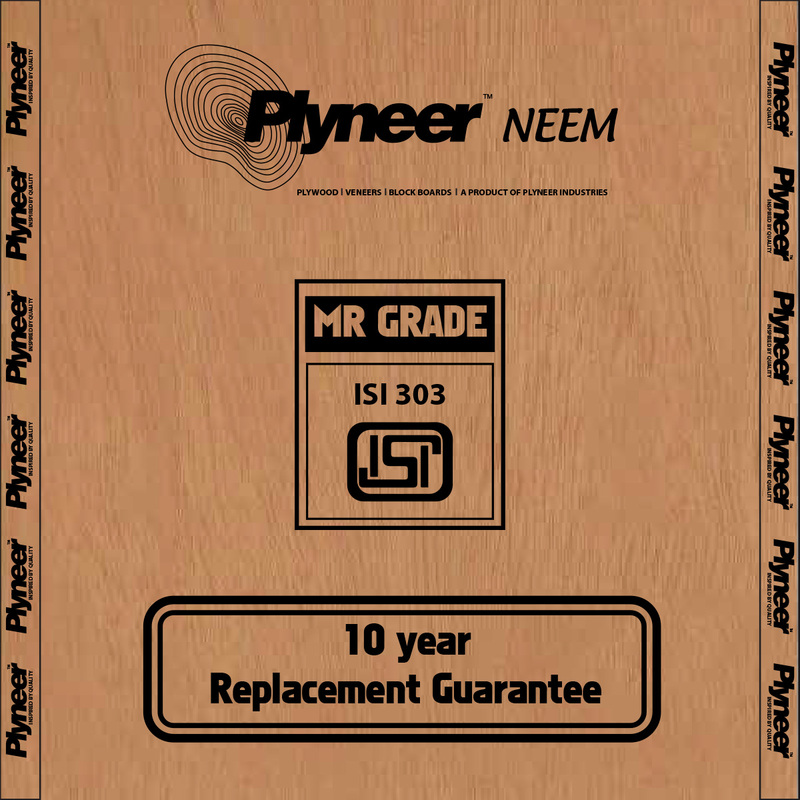 Plywood is made with Seasoned Neem wood and center core of Hardwood Wood to give superb nail holding strength and balances the Plywood from any bend or wrap. They are then bonded with Melamine Urea Formaldehyde Glue / Resin under computer controlled temperature and pressure, bonded face to face with the grain running in alternate directions or cross bonding which gives our material its core strength. Actual products may differ slightly in appearance to image shown.